Mission is not about “mission statements” or being “on-purpose” in a tag-line cliché way. True mission can be alluded to in these terms, but mission is much deeper than those things by themselves. At its heart, mission is about vocation, calling, and kingdom vision. It sits in the heart of every person in the form of the question that all must answer: what am I here for? This question can only be answered satisfactorily by a mission that is deep enough, important enough, and difficult enough to call all of our being into action. The grand narrative story of the restoration of the world calls us if we are willing to listen. For the early church, the mission happened in an almost automatic way because they were so passionate about what they were doing. Their mission was not homework or a burden. It was an explosion of joy (Newbigin 1989, 116). The Question of What Am I Here For? From college career guidance offices to hospital death beds, the question of life’s purpose is constantly on the lips of humanity. We whisper it when making big decisions about life. We shout it when life gets difficult. It is underneath the surface of countless conversations and problems. This question can be viewed at both the micro and macro levels. At the macro level, the question is connected to the purpose of man. Materialism, humanism, nihilism and a whole host of other random “isms” have all attempted to answer this macro question. The “micro” look at this question results in questions about career decisions, how one might spend money, and how they spend their time. Under the surface of many decisions in our lives, this question is present. Our actions betray our beliefs and how we ultimately answer it. The “why” question is rooted in the biblical concepts of vocation, calling, and God’s grand plan for humanity. Ultimately, our mission is connected to God’s mission and metanarrative story of redemption. When we place our story in this universal story we find deep purpose (Newbigin 1989, 150). For this reason we are most alive when loving others and giving ourselves. This is our purpose for living. That is why Jesus said that those who lose their lives will find them (Chan 2009, 96). While all Christians are called to participate in God’s kingdom vision for the world, we each have a unique part to play in this mission. Christ gave us the grand mission, but finding our part in this mission is where the fun comes in (Benner 2004, 96). Os Guinnes argues that answering God’s unique call on our lives is “the ultimate why” for living and is our answer to the highest purpose in human existence (Guinnes 2003, 3). It places our focus outside of this world where it was meant to be, and gives us correct orientation. True mission is inextricably linked to both community and God (in the person of the Holy Spirit). By itself, mission can be disastrous. There are plenty of missions that have been undertaken that have caused much more harm than good. Fruit comes from a mission connected to both community and God though Holy Spirit empowerment. First, Mission gains its power in the midst of community. Second, one way of looking at our mission is the creation of kingdom community (McKnight 2010, 106). In a real sense, our mission is community. Third, mission is only true mission when done in the power of the Holy Spirit. Lastly, our gifts that allows mission to happen are from the Holy Spirit. The Holy Spirit commissions us for ministry. 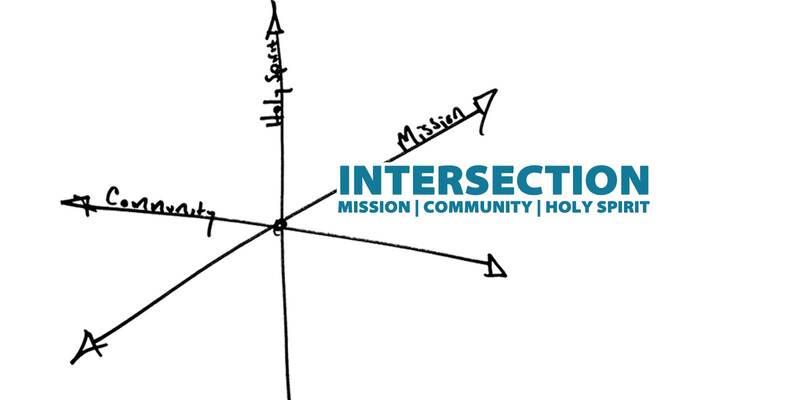 This just begins to show the full interconnectedness of true mission with God and community. One without the other turns sour fast, which we will unpack further in future posts. Newbigin unpacks this further saying: “So the logic of mission is this: the true meaning of the human story has been disclosed. Because it was the truth, it must be shared universally. It cannot be private opinion. When we share it with all peoples, we give them the opportunity to know the truth about themselves, to know who they are because they can know the true story of which their lives are a part. Wherever the gospel is preached, the question of the meaning of the human story—the universal story and the personal story of each human being—is posed” (Newbigin 1989, 125). There is also a significant connection between identity and purpose as many authors have pointed out. Some even argue that the identity question lies under the purpose question and is a deeper reiteration of the question (Guinnes 2003, 1). If calling and purpose is at some level uniquely connected to our individual gifts, this insight is true. Benner says it this way: “Our vocation is always a response to Divine call to take our place in the kingdom of God. Our vocation is a call to serve God and our fellow humans in the distinctive way that fits the shape of our being” (Benner 2004, 802). Guinnes argues that “at its heart: The notion of calling, or vacation, is vital to each of us because it touches on the modern search for a basis for individual identity and an understanding of humanness itself” (Guinnes 2003, 20). This is connected to a theology of hospitality. Nouwen explains this say, “That is our vocation: to convert the hostis into a hospes, the enemy into a guest and create the free and fearless space where brotherhood and sisterhood can be fully experienced” (Nouwen 1975, 66). Benner, David G. The Gift of Being Yourself: The Sacred Call to Self-Discovery. Downers Grove, IL: Intervarsity Press, 2004. Chan, Francis. Forgotten God: Reversing our Tragic Neglect of the Holy Spirit. Colorado Springs, CO: David C. Cook, 2009. Frost, Michael, and Alan Hirsh. The Shaping of Things to Come: Innovation and Mission for the 21st-Centruy Church. Peabody, MA: Hendrickson Publishers, 2003. Guinnes, Os. The Call: Finding and Fulfilling the Central Purpose of Your Life. Nashville, TN: Thomas Nelson, 2003. McKnight, Scot. One Life: Jesus Calls We Follow. Grand Rapids, MI: Zondervan, 2010. Newbigin, Lesslie. The Gospel in a Pluralist Society. Grand Rapids, MI: WM. B. Eerdmans Publishing Co., 1989.